Welcome to the world of image manipulation with WinImages R7 for Windows. 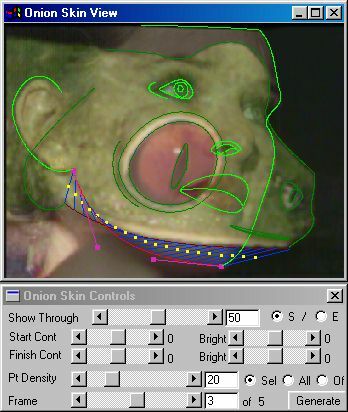 WinImages R7 provides two appliations: F/x and Morph. F/x brings you special effects along with powerful animation capabilities. F/x also offers a broad range of standard photometric adjustments such as contrast, gamma, etc. Morph provides a state of the art morphing and warping engine. You can download WinImages here. Requires: Pentium processor or higher, Microsoft® Windows 95, 98, Me, 2000, XP or (Intel) Windows NT 4.00 or higher, 16 Mb memory minimum. Recommended: accelerated display, Pentium II or higher, 64 Mb memory or more. Note: WinImages can be used on modern hardware (as of 2018) under an Windows XP VM. This has been tested using both VMWARE and Parallels under OS X. Users of later versions of Windows may experience varying levels of success.